Fall is a time for restaurant openings. Lots of them. 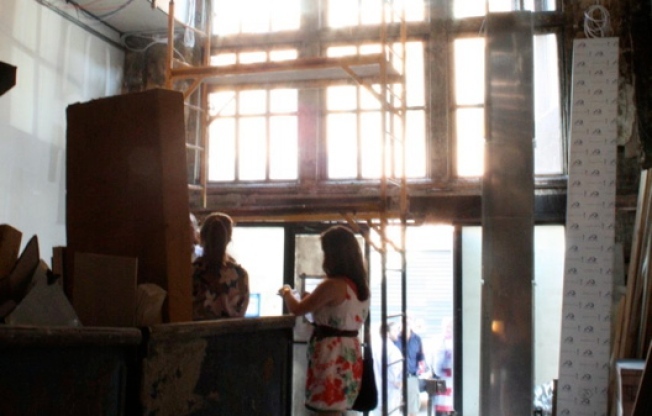 Restaurateurs will make promises, excite us, with their grand plans. Consider this here the intel you need to keep abreast of it all—and start obsessing at just the right moment. The John Dory, 85 10th Ave., North MePa/Chelsea; no phone yet. The inside is small, basically two rooms. The main room is a bar and raw bar on one side and a raised seating area on the other. Ceilings are high and the maritime theme is pronounced. There's a fish-in-water inlay in the floor that runs the entire length of the space. The second room is a small lounge off to the left side. It'll be separated from the main room by a 13'x15' fish tank that will house, yes, John Dorys. The game-over details are actually outside the restaurant—two huge fish bowls, globes really, will double as lights on either side of the entrance. Seating in the main dining room is for 45ish.